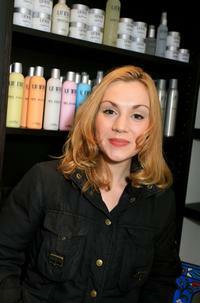 Rachel Miner at the Point De Vue Salon in California. Rachel Miner at the L.A. premiere of "The Tripper." Rachel Miner at the PETA's 21st Anniversary Party and Humanitarian Awards. Rachel Miner at the Reel Lounge Gala Benefit For The Film Foundation. Rachel Miner at the premiere of "The Black Dahlia." Rachel Miner at the Vanity Fair 2006 Svedka Erotica Reading Series. Rachel Miner at the premiere of "Weeds" Season 3 and "Californication." 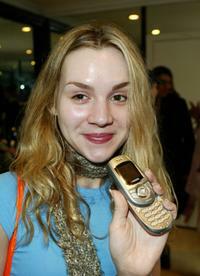 Rachel Miner at the Ultimate Suite for the 2003 American Music Awards. Rachel Miner at the 4th annual premiere The New Power event in celebration of the next generation of Hollywood power players. Rachel Miner at the Vanity Fair, Budweiser & Triggerstreet.com event to celebrate the Budweiser Filmmaker Discovery Award. Rachel Miner at the premiere of "Haven." Rachel Miner at the REEL Lounge Retreat. Rachel Miner at the Love Letters To America: Working Playground Benefit. Rachel Miner at the after party of "Little Athens" during AFI Fest. Rachel Miner at the AFI portrait studio.